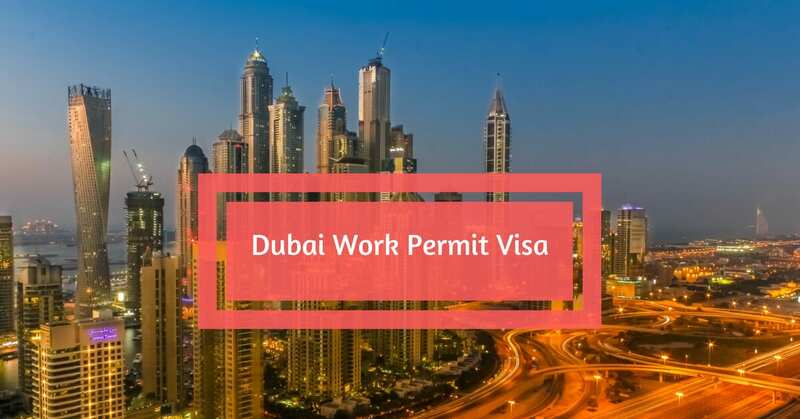 If you are seeking for Dubai work permit visa, this article might be helpful for your journey up to Dubai. NepSort’s Journey to Dubai is the comprehensive guide for those who are willing to apply for work permit in Dubai. All expats who want to work in Dubai require a residency visa. Residency visa allows you get a work permit in Dubai. Most of the foreign nationals who arrive in Dubai to work; already have their job fixed and do not have to deal directly with the employers. However, only a few foreign nationals entry in Dubai in other visa categories decide to stay here and work. In that situation, you have to find the employers by yourself and if you find one; your employers have to take the responsibility for the visa application process, work permit and the sponsorship of the visa too. Whenever you have received an accepted job offer in Dubai, your employer will do all paperwork to get employment visa for you. Obtaining a written job contract or job offer from an employer in Dubai. Whenever your employer issues a written job offer, they will do all paperwork to obtain employment visa on your behalf. The United Arab Emirates immigration department will contact you when employment visa application and sponsorship has been verified. After this verification, Ministry issues and Entry Permit Visa which are also known as pink visa and it allows you to legally enter the UAE. This permit is valid for 2 months from the date of issue and allows the holder to remain in UAE for a period of 30 days, extendable twice. Note: All process after Step 2 will be done after your entry in UAE i.e. Dubai. You have to do the medical test at any government hospital or medical clinic. The medical test is conducted after your entry in Dubai; tests from outside country is not valid. The medical test includes chest X-ray and blood test to check HIV/AIDS, Hepatitis and tuberculosis. You have to submit these documents to the Department of Health and Medical Service. Having a Health Card is mandatory for foreigners working in Dubai. Submit following documents to Dubai’s Ministry of Labor office to get Labor Card. Submit following documents to Dubai General Directorate of Residency and Foreign Affairs to get a residence visa. Two photocopies of your labor card (If your labor card is still in processing, you can submit the labor card processing receipt. After completion of all these steps, you can legally work and stay in Dubai.